What is a Pygora Goat? Spinning directly off my Pygora goat, "Monkey". Her Type-B fleece is just starting to shed. Click HERE for our herd management practices. 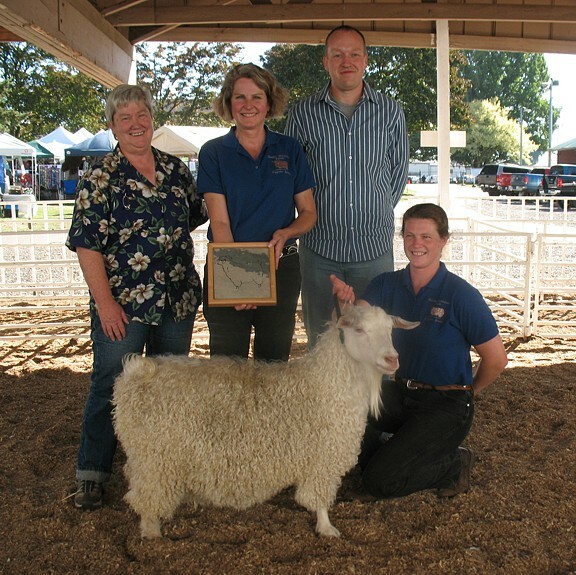 Click HERE for our BREEDERS PROFILE published in the GOAT Magazine. We are located just 25 miles west of Portland, Oregon. Our farm is nestled amongst fir trees on a hill overlooking Scoggins and Patton Valley. Our ranch got its name because it is home to many red tail hawks that soar above our small mountain top. Fiber and quality breeding stock is our focus on our ranch. We raise our beautiful natural colored Pygora goats for fluffy fiber, friendly disposition, and show and pet qualities. We take great pride in our herd management practices. Lots of colorful Pygora kids dot our greeen pastures each spring. 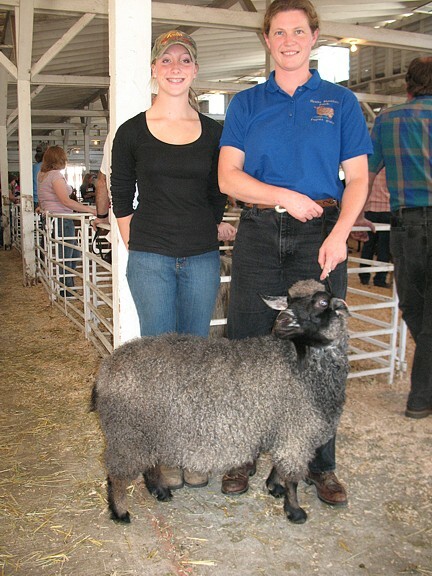 Along with our Pygora goats, we also raise Icelandic sheep. 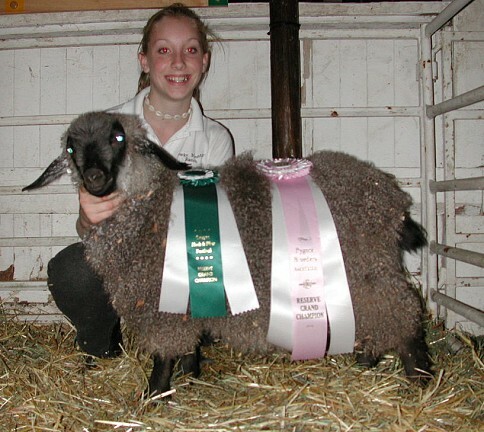 Lisa was a 4H Co-leader for the Golden Fleece 4H club in Washington County for 5 years. The group's focus is Fiber animals and Fiber arts. 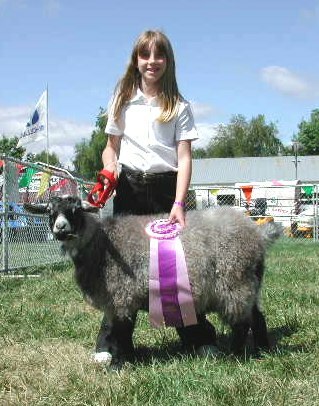 Lisa was the registrar for the Pygora Breeders Association for 2 years. 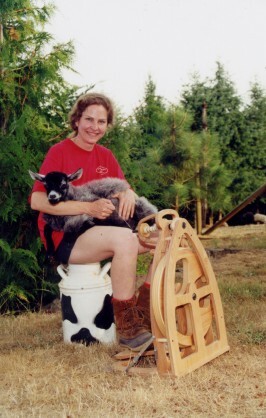 Both Lisa and her husband, George, are PBA Sanctioned Pygora goat judges. 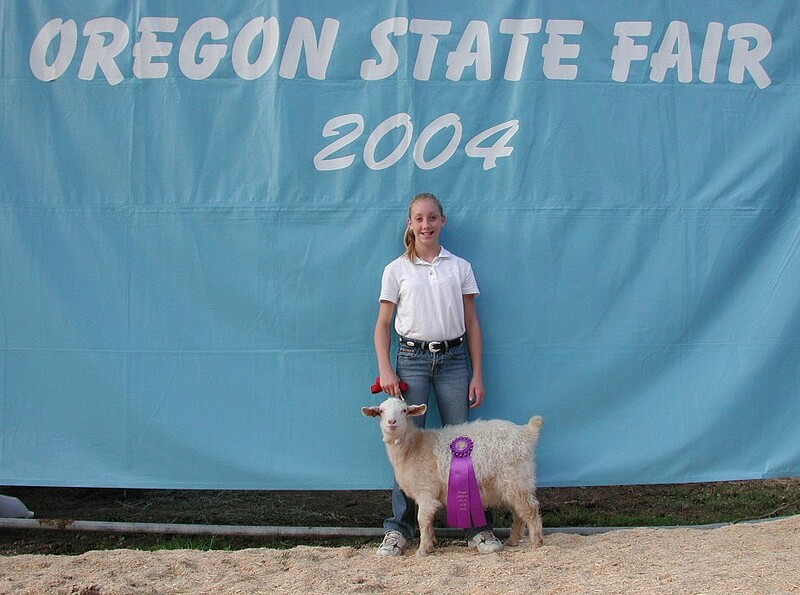 The Pygora Goat show and Fiber Frenzy for 7 years at the Washington County Fair Complex in Hillsboro, Oregon. It was one of the rare shows that senior Pygora bucks were shown along with Does and Wethers. January was a great time of year to see the Pygora goats in all their fiber as they are not always in fleece at the summer fairs. 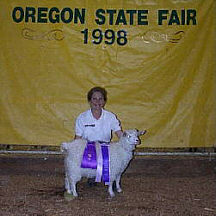 Pygora superintendent for the Washington County Fair in Hillsboro, Oregon for 7 years and also ran the sanctioned Pygora goat show. 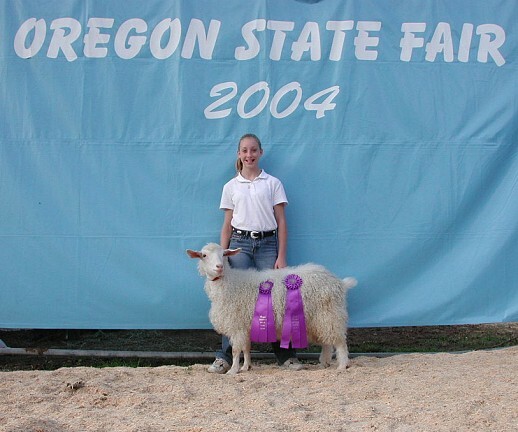 One of the original founding members of the Oregon Flock and Fiber Festival held each year at the Canby Fairgrounds in Canby, Oregon. Livestock barn organizer for 5 years. 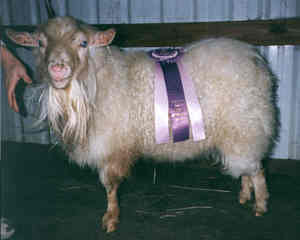 for overall best of show fiber goat. Divinity has won 3 PBA grand champion doe titles which has earned her permanent grand champion doe status. 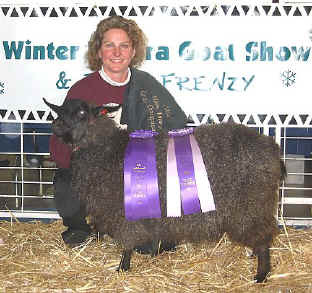 FUDGE has won 3 grand PBA grand champion doe titles which has earned her permanent grand champion doe status. Hawks Mountain Ranch is proud to be the owner of the very first PBA Permanent Grand Champion Pygora Buck Millers Farm Eyore. This website and it's contents including all text, photos and graphics, are copyright of Hawks Mountain Ranch 2018©. Please request permission for use of any of it's contents. Thank you!